This week Valve rolled out a new smartphone companion app for Dota 2 that makes it easier for fans to keep track of big tournaments, follow the progress of their favorite teams, and get access to in-game stats in real-time. But that’s not all: the app also lets players gamble. Not with real world money, but rather with Shards, a special currency for Dota 2 players who subscribe to the game’s Dota Plus service. 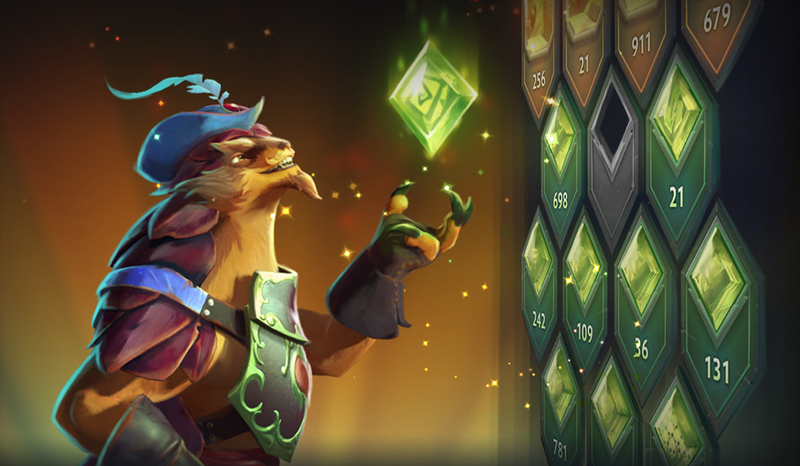 Dota Plus is primarily a hub for players to look at and analyze data about their performance, sort of like hiring a personal, AI-based coach, but it also doubles as a battle pass with special rewards player can only unlock by earning Shards. Previously, players did this by predicting their own match wins, doing quests, earning hero xp for completing matches, and hitting other benchmarks. Now they can also earn Shards by betting on Dota Pro Circuit matches. There are actually two ways of doing this. In the first, Valve supplies odds for upcoming matches and then players can bet up to 100 Shards on who they think will win. If they’re right, they’ll get that many Shards back multiplied by the odds of their pick. Currently, the maximum bet feels a bit low, especially since many of the odds are in the single digits, but it’s still a neat way to add an extra layer of tension to each match. The second way uses Valve’s version of fantasy Dota 2. Players construct their fantasy team at the beginning of a tournament and then accrue points based on the success of each of those players in order to win more Shards. Dota 2 has had fantasy leagues for a long time, but sticking them inside a first-party app is a lot easier to manage. I’ve shifted most of my Dota 2 playing to a few weeks out of the year, but I still follow the tournaments closely, usually by checking my phone. Finally having a fun meta-game based around those events in the same location is really awesome. Which brings me to this weekend’s main event: the Dota 2 DreamLeague Season 11 playoffs in Stockholm, Sweden. The $1 million tournament is already well underway, but the biggest matches are still ahead. Round four of the lower bracket kicks off Saturday morning at 8:30 a.m. ET, followed by the upper bracket finals at 11:30 a.m. The grand finals, meanwhile, begin on Sunday at 11:30 a.m. Favorites Team Secret are currently fighting not to get eliminated in the lower bracket, while little-known team Keen Gaming out of China has stunned everyone by earning a spot in the final six. If both teams manage to meet in the grand finals I can only imagine what the odds on that payout will be. All the matches will be streaming live on the Dream League Twitch channel. Out in the midwest, top Smashers will be duking it out in the Full Bloom 5 Major. The event features both Smash Bros. Ultimate and Melee, with matches beginning on Saturday at 12:00 p.m. ET and going into the night. On Sunday, play will resume at the same time with Ultimate top 8 scheduled for 4:00 p.m. and Melee top 8 scheduled for 7:00 p.m. Melee will be streaming on Beyond the Summit 1 while Ultimate will stream on Beyond the Summit 2.